The Lenox is sponsored by New Balance and all the employees are decked out in their gear! They all were wearing the office Boston New Balance sneaker which glows in the dark...Pretty Awesome. Although I am a Mizuno For Life kinda gal I still enjoyed the look of the New Balance gear. After we got all checked into our room we then walked down to the expo ( about 2 blocks away ). I was a little uneasy bringing the boys to the expo due to the amount of people and the bigness of the event. Luckily my mom and dad where with us and could hang with one of the boys and help out. I love this expo and feeling the energy from all the runners! I was able to meet up with Mary from FEETURES! I will be doing a giveaway in the next few weeks so stay tuned!! I LOVE this shirt.... The length is perfect and the material is lush and amazing!! Proud to represent such a high quality company!! 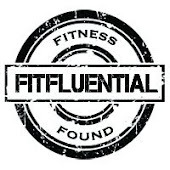 If you are training for a marathon or tri give these products a try...You will not be disappointed! I also had to stop in and drool over all the Mizuno products! 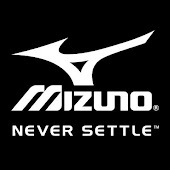 Yup the whole family loves Mizuno! I love that the Boston Marathon jackets and colors this year match the Men's Wave Riders...Now if my hubby only ran! My boys were so excited for all the gear and free samples of products...I think Cam had way too many Gatorade chews and samples to even count! Chase won a big box of brown rice...who knew! Ahhh! We also met some AMAZING Elite Runners and Athletes but I will put that in a separate post! 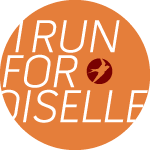 By the way...my pink shirt I have on is Oiselle and I want to live in this shirt it is so amazing! !